Why All That Social Media Stuff? Both Google and Bing acknowledge that they consider Tweets, Likes, Shares, and even the “social authority” in their search algorithms. Social engagement metrics are closely correlated with the ability to rank highly in organic search queries. Ranking on the first page of a prospect’s search means the difference between gaining a new customer, or not. Social is a vital aspect in a holistic approach to search engine optimization and provides a level of immunity to the frequent fluctuations in search algorithms. The better your social engagement is executed, the greater the likelihood that you will be placed above the fold on a search result page. Social media is a tool to help reverse any negative reviews previous customers have posted about your business. The bottom line is, if your are not engaging in social media you are not engaged with your potential customer base. 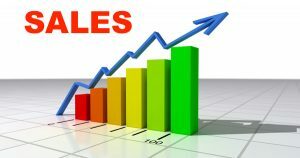 Your business needs to “talk” to your prospective customers while they are shopping online for the goods and services they need. Power of Presence Marketing consults with each client to determine their best strategy for social marketing. After determining the optimal methodology for integrating your business with social media the Power of Presence Marketing Team meticulously tracks all key performance indicators of your social media campaign. Expert care is then applied, blending the social elements of community building with highly converting marketing strategies, to expand your customer base, and to sell to existing clients; all while maximizing the customer service opportunities social media amply provides. Many agencies provide social media marketing services, but most either do not know how to, or simply do not dedicate the resources to, gain optimum results. 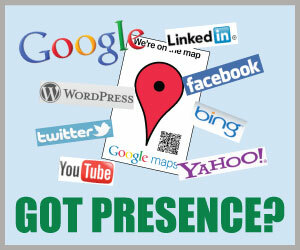 Power of Presence Marketing does not leave any aspect of the social platforms lacking. With our Social Media Management your marketing budget makes maximum impact, providing you the greatest ROI for your marketing dollar. Whether you simply want to boost your existing social media marketing efforts, expand brand recognition, excite your community, promote an event, or you just want to attract more likes and followers to your social media accounts, Power of Presence Marketing will customize and develop a social media marketing strategy that will enable you to reach your goals. If you currently have no social media campaign, or want to energize your current social media marketing, now is the time. To learn more about the opportunities Social Media Marketing brings to the table call Power of Presence Marketing today at 877-727-3864, or contact us via our online contact form. A representative will contact you to arrange a meeting, whether in person, on the telephone, or over the Internet.